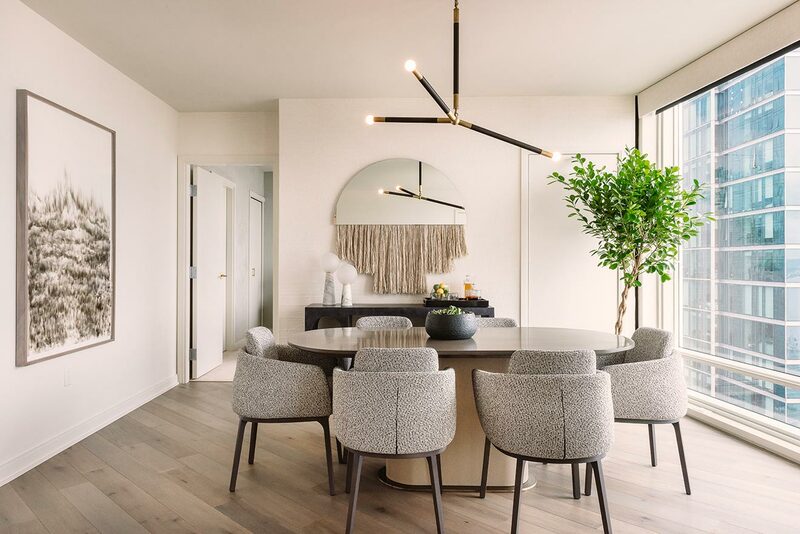 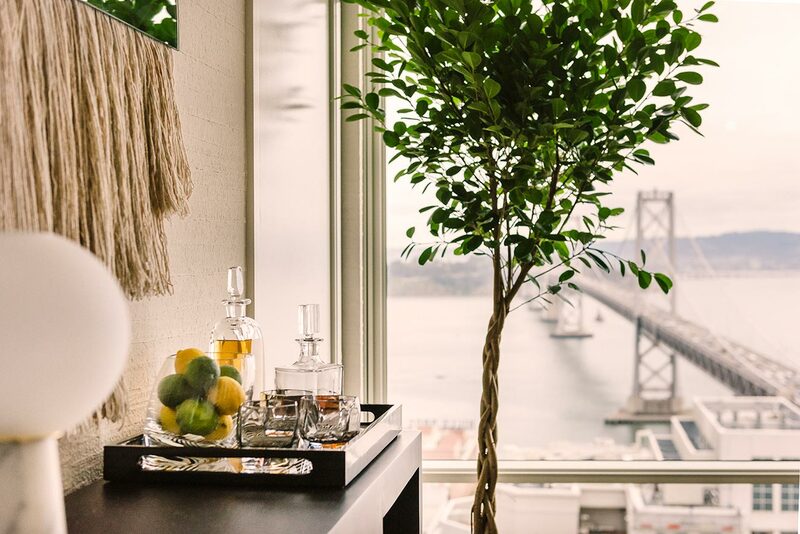 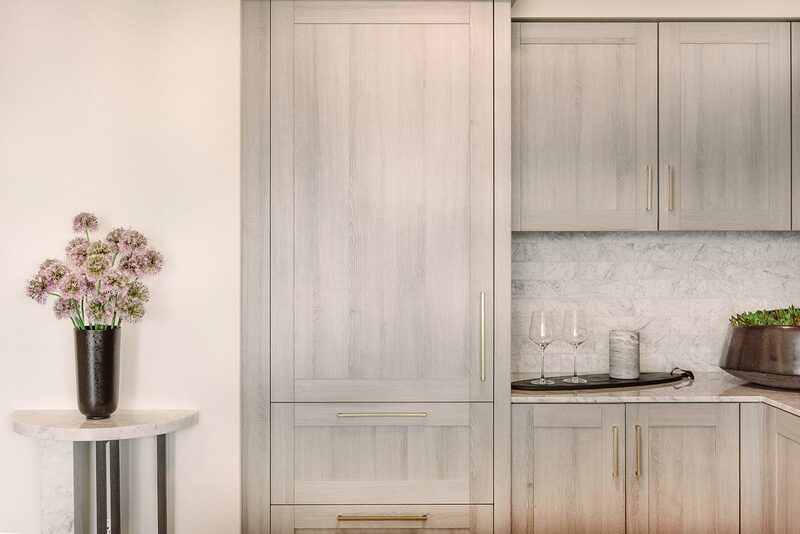 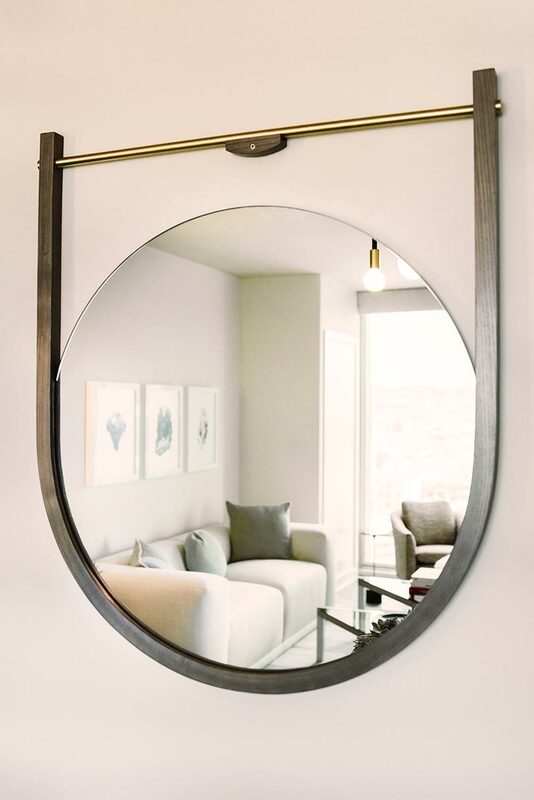 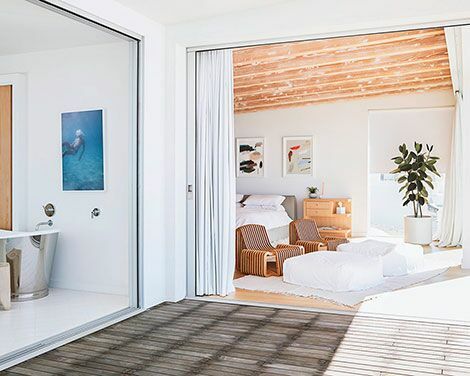 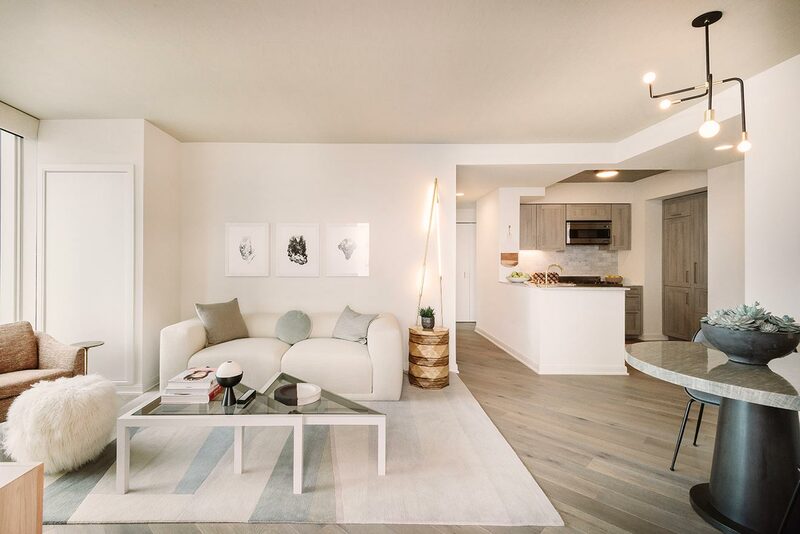 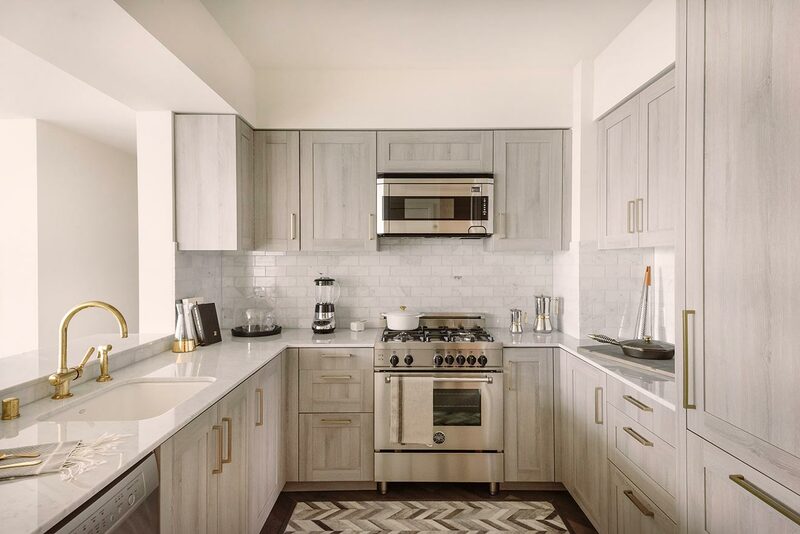 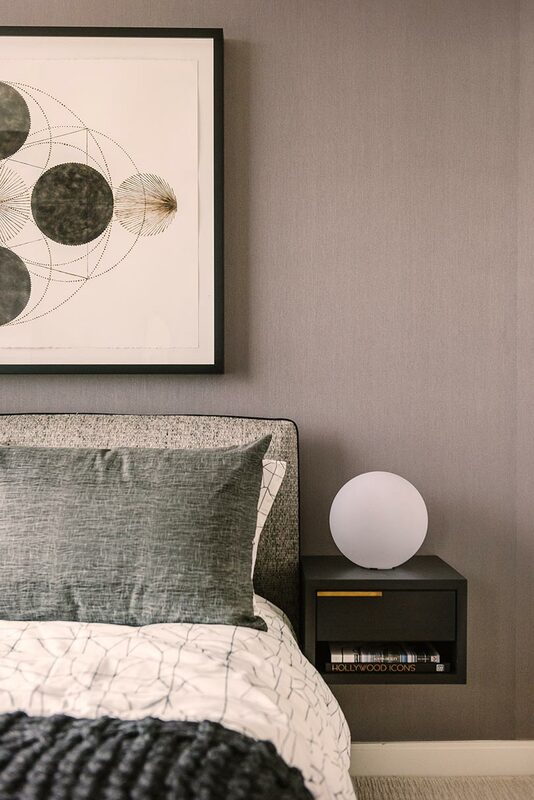 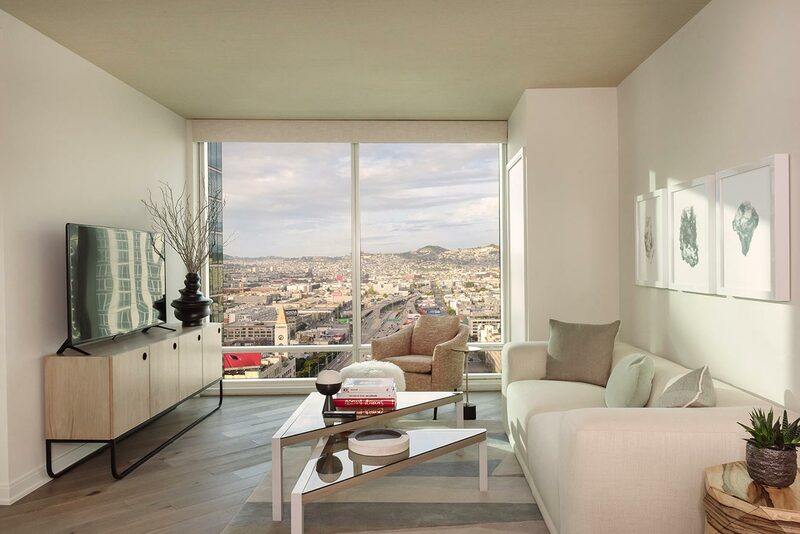 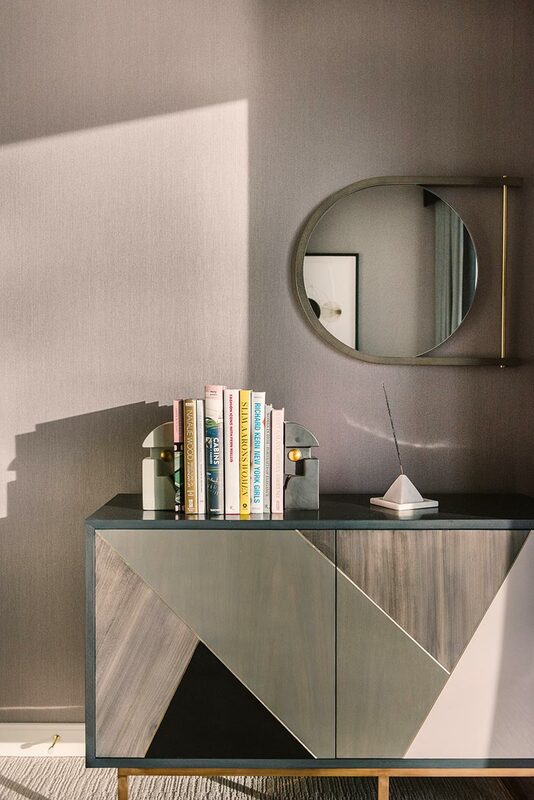 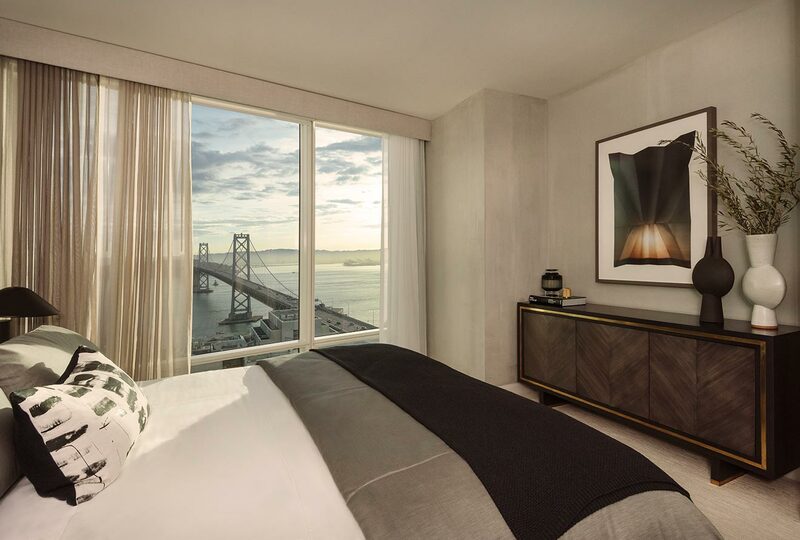 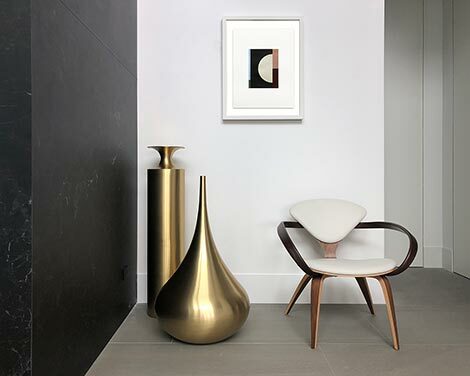 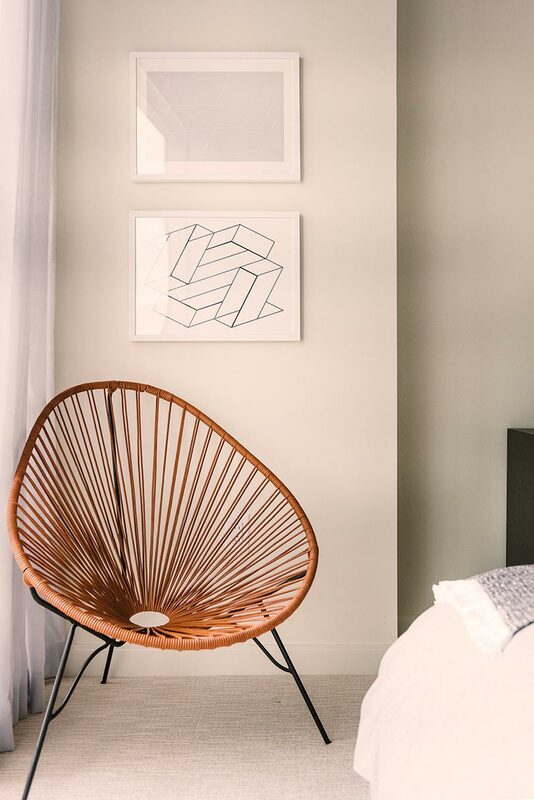 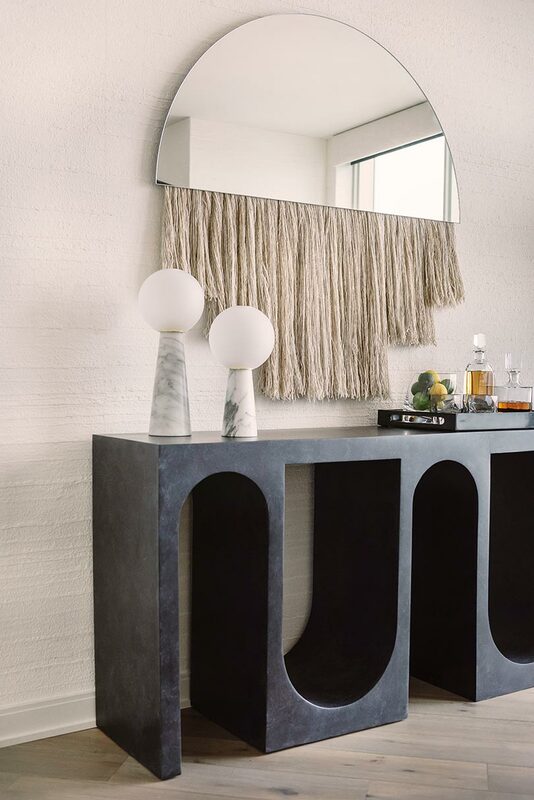 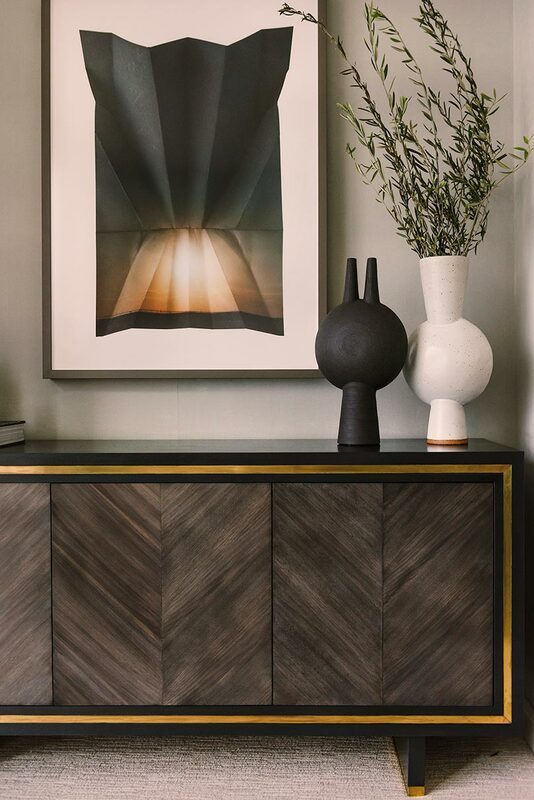 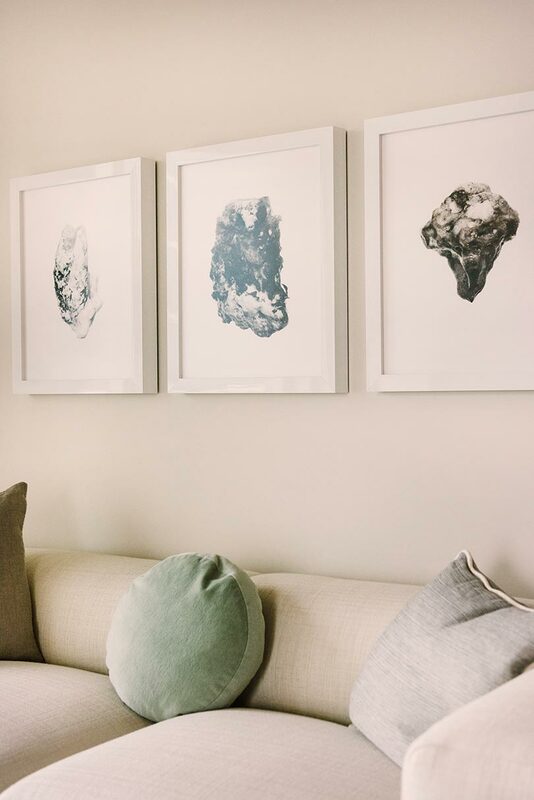 Our friends at SFA Design transformed this spacious San Francisco apartment at The Harrison in the SoMa district into a calming and monochromatic dream. 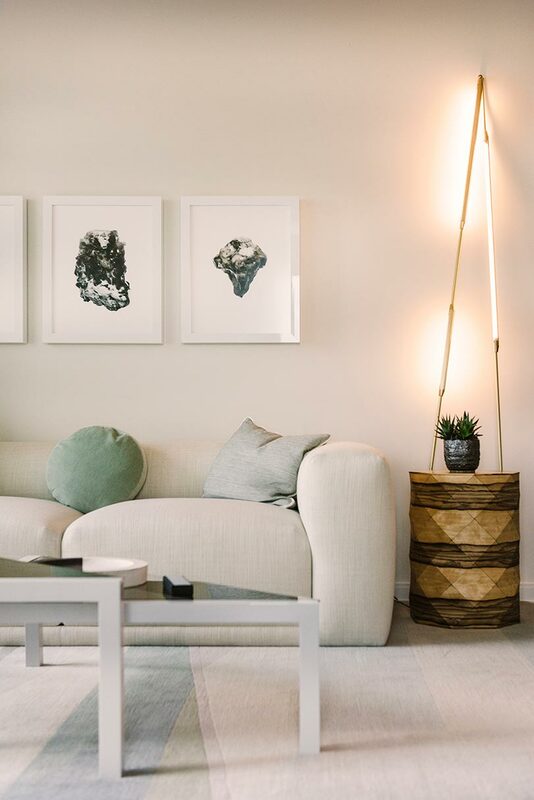 Dynamic, modern lights scattered around the space bring a sharp contrast to the oversized white couches and soft grey wood cabinets. 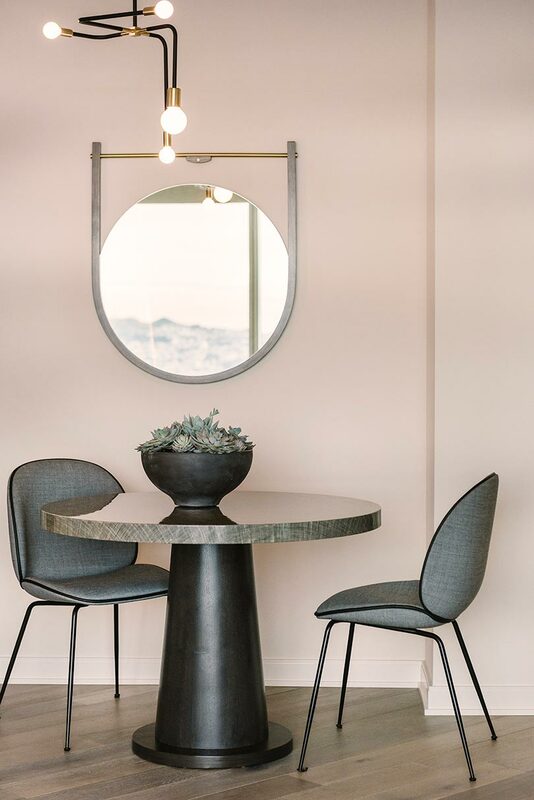 Rounding out the design are multi-shaped tables, which highlight works by Andy Mattern, Millee Tibbs and Katrine Hildebrandt-Hussey.